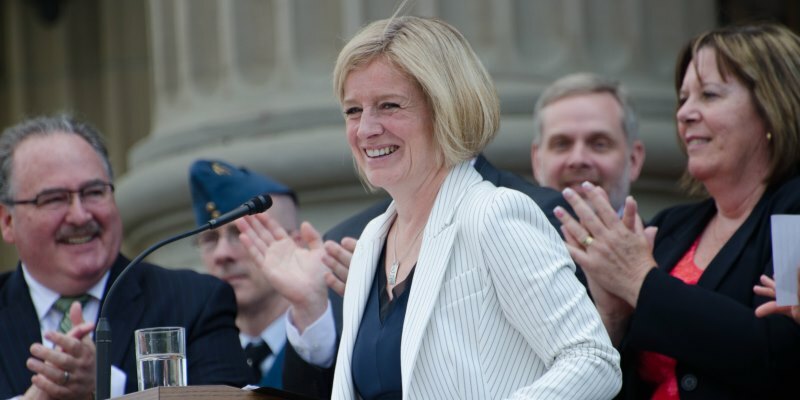 When people think of the long lost “Alberta Advantage,” they often think first about the province’s tax advantage over other provinces, specifically, the 10 per cent single rate personal and corporate income taxes that prevailed until 2015. But the province enjoyed another fiscal advantage—all other provinces paid large interest payments on their government debt each year while Alberta’s debt interest payments were trivial. Unfortunately this second Alberta Advantage is also slipping away. Consider the situation in 2007/08, when Alberta’s government paid only $61 per capita (or per Albertan) in debt charges annually. Every other province paid much more, from more than $500 per person in British Columbia to more than $1,000 per person in Quebec and Newfoundland. In other words, every other province spent more tax dollars than Alberta each year on interest payments, which meant less money available for public services (education, for example) or to keep taxes down in their respective provinces. Why? Because every other province was heavily in debt, and thus on the hook for much larger interest payments. Alberta was not. In fact, in 2007/08, Alberta had a substantial net asset position of $35 billion—that means its financial assets (such as the Heritage Fund) substantially exceeded the value of its debts. But Alberta’s fiscal position has eroded since 2007/08, thanks largely to a long string of operating budget deficits under successive governments, which have exploded in the past few years. Alberta’s net debt now totals $30 billion, and according to the government, will hit a projected $56 billion by 2023/24. Consequently, Alberta’s government debt interest payments have skyrocketed, from $61 per person a decade ago to $442 in 2018/19. Given that the Notley government has no plans to balance the budget until 2023/24 (based on fairly optimistic assumptions) and will continue to add debt through capital spending (roads, etc. ), it’s likely that number will steadily increase and Alberta will soon overtake other provinces. For example, Alberta’s per-person interest payments are forecasted to overtake B.C. in 2020/21 and may soon leapfrog Saskatchewan as well. Moreover, it’s not just lower-debt provinces such as B.C. and Saskatchewan that Alberta will overtake—the gap between Alberta and heavily indebted provinces in Central Canada and the Maritimes is closing as well. According to Alberta government forecasts, debt service payments will continue to rise by approximately $100 per person per year through 2020/21. If this trend continues beyond that, Alberta will soon join Newfoundland and Quebec as the only provinces spending more than $1,000 per person on government debt service payments each year (a club Ontario, Canada’s fiscal basket case, may also soon join). Again, the more money Edmonton spends on servicing Alberta’s provincial debt, the less leftover for priorities Albertans value such as health care, education and tax relief. So the end of the other “Alberta advantage”—a near absence of debt service payments from the provincial budget—is bad news for Albertans, now and in the future.